A data privacy and cyber security blog from a legal/military intelligence professional perspective. What does the new "Relevant Mobile Advertising" mean to you? What does the new "Relevant Mobile Advertising" mean to you as a smartphone user, and what can you do if you disagree with it? It's been said, if it is free to you, then you are the product. If you are not paying, then the business model of the service or website is likely business to business (B2B). But now, even though you are paying for mobile carrier or Internet Service Provider (ISP) services, you are also the product as well, in a B2B profit model between those companies and others. what websites you visit on your personal computer and phone. favorite sports team, pet owner, where you dine out, etc. what you've typed into Google search engine on your personal computer and phone. Cumulatively, this data amounts to your Unique Identifier Header (UIDH). We all have a UIDH which internet advertisers use to for targeted advertising campaigns. Now, the said campaigns have become more elaborate by including your smartphone use and by advertising to you on your mobile devices as well using your UIDH. 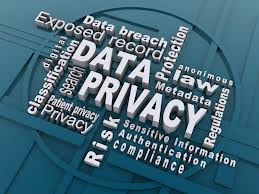 You have rights to privacy, and the companies you choose to do business with have obligations to protect your personal information and uphold your rights to privacy. Neither large corporations nor the FCC expect the common consumer to know how to exercise their rights nor when those rights are being violated. Jamal Hartenstein is a cyber security legal expert who has helped some of the country's largest financial institutions, healthcare companies, and federal agencies develop their IT Security Roadmap Programs. Healthcare systems, pension funds and the Department of Defense benefit from his highly technical and legal background. Jamal provides guidance to executive staff and security professionals on laws, frameworks, and policies that help shape their strategic plan. Prior to working for KAI Partners, Jamal served as an Electronic Warfare Sergeant in the U.S. Army Military Intelligence Corps, where he was a steward for Defense Information Systems Agency (DISA) framework. He currently holds certificates including CISSP, PMP, ITIL, CSM, MCP, Network+, Security+, and more. He earned his Juris Doctorate from University of the Pacific, McGeorge School of Law in California, where he now helps organizations innovate safely and securely.